The Edric Lodge was founded in 1921 as a daughter lodge of The Borough Polytechnic Lodge whose members were mostly staff at that educational institution. The new lodge was consecrated at the Criterion Restaurant, Piccadilly. Subsequent meetings were held at Freemasons Hall, Holborn with dining after at the Connaught Rooms. 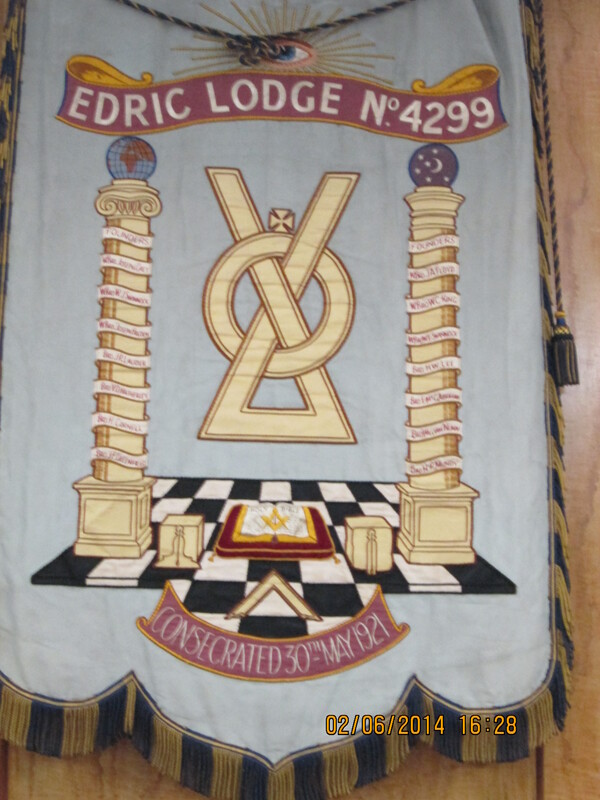 From its inception Edric Lodge was formed as a Hall Stone Lodge, the members making a donation to the Million Memorial Fund which raised the money to build a new Grand Lodge in 1933 as a memorial to Freemasons who died in World War 1. In recognition of their donation Edric Lodge was presented with the Hall Stone Jewel which the Master receives from his predecessor at his Installation, he wears the jewel on all Masonic occasions and hands it on to his successor. This situation continued until 1976 when the Lodge moved from London to Middlesex and met at the Masonic Hall, Uxbridge. The Lodge has remained in Middlesex moving to new premises in Hercies Road, Hillingdon in 1995.